Reconnections is a regular gathering of individuals who have mild cognitive impairment or who are in the early stages of dementia. Together with professional staff, a small group of club members participate in recreational activities with the opportunity for peer support and socialization in a safe, non-judgmental setting. A variety of activities during each session promote cognition, creative expression, movement, sense of purpose, reflection or spirituality, social engagement, and new learning experiences. As the program is designed for a small group setting, current participant interests guide each week’s activities to incorporate programs of benefit to all club members. Reconnections is offered Mondays, Tuesdays, Thursdays, and Fridays, from 10:00 am to 3:00 pm. Participants may attend one, two, three or all four days per week. Participants start the morning with coffee and conversation. Specialists will present a main weekly program, or participants might partake in a field trip to a local site of interest. A catered lunch is served, allowing time for socialization. Afternoon program activities may include any listed below, based on the interests of the current group. To maintain a current level of function in cognition, including memory, concentration, and attention. Activities include brain games, discussions, and learning experiences. To promote creativity and imagination utilizing self-expression. Activities include visual arts, music, drama, and creative writing. To support intellectual, emotional, and motor functions of the body. Activities include yoga, tai chi, and dance. To promote a sense of purpose and belonging, as well as to maintain involvement in the community. Activities include volunteerism and intergenerational activities. To enhance well-being and connectedness with self. Activities include journaling, meditation, and memoir writing. To stay connected to peers in a safe, supportive environment. Activities include coffee and conversation, catered lunch, and peer support groups. To acquire new, or modify and reinforce existing knowledge and skills. Activities include discussion groups, educational workshops, and guest lectures. Registration is required; there is a short application and assessment process for the program to ensure a good fit for both the caregiver and early stage participant. 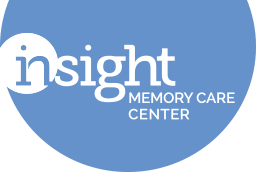 Please contact Kennedy O'Donnell at 703-204-4664, or kennedy.odonnell@insightmcc.org. Participants may attend up to four days per week for a flat monthly fee.